Financial support sufficient to cover a student's educational expenses for one (1) year must be demonstrated before the I-20 eligibility document is issued. See Undergraduate Estimated Fees or Graduate Estimated Fees for amounts required. 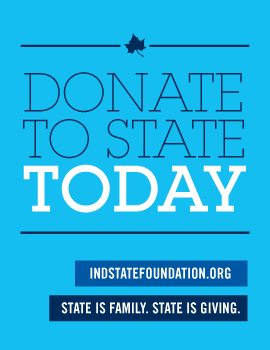 All financial support documentation should be submitted to the Office of Admissions, Indiana State University. All applicants must submit this affidavit of financial support and an original bank statement with current information. Government sponsored applicants must provide an official or certified copy of the award, specifying validity for Indiana State University, listing the expenses and fees covered by the award, beginning and ending dates of study covered, the level/field of study, and the length of the award. The address for billing must also be included. Those applicants who are academically eligible yet fail to provide adequate financial documentation will receive a letter. In some cases, applicants may be requested to deposit funds in an account with Indiana State University's Office of the Controller.